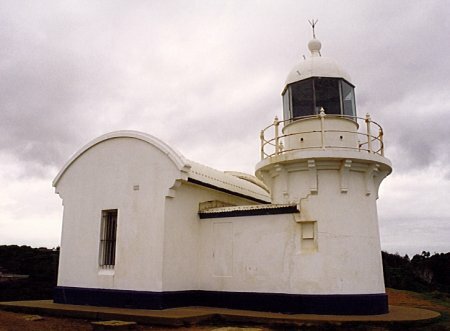 Tacking Point Lighthouse | Lighthouses of Australia Inc. In 1879 a fixed catadioptric light of less than 1000 candelas was erected on Tacking Point. In the early to mid 19th Century the main contact for the coastal towns of the north coast of New South Wales was sea transport. There were no roads and the railways were only just beginning. There were few lights and in the Tacking Point area more than 20 wrecks occurred, the first being the schooner Black Joe in 1823, and the steamer Sumatra in the same year. 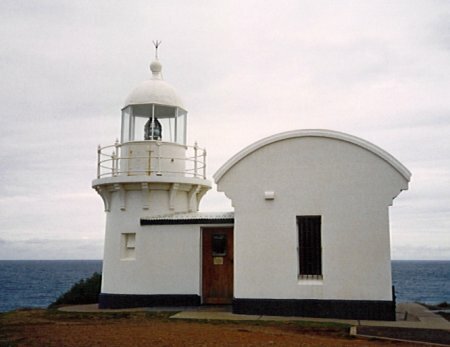 In 1879 a fixed catadioptric light of less than 1000 candelas was erected on Tacking Point. The structure is built of cement-rendered bricks and because of the elevation only needed to be 8 metres high. The apparatus was converted from wick oil light in 1919 to automatic acetylene operation. 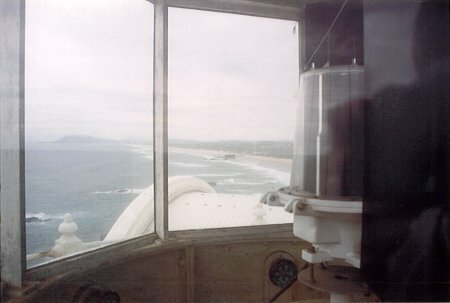 The light was then converted to mains electricity in 1974. 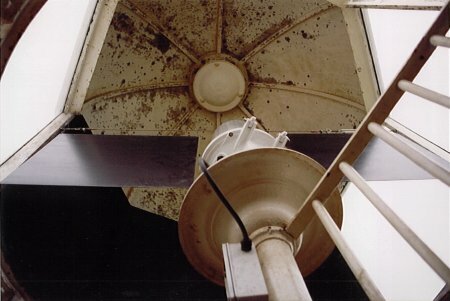 As a result of automation the keepers were withdrawn after 40 years of service. The foundations of the keeper’s cottage can still be seen. Location Lat. 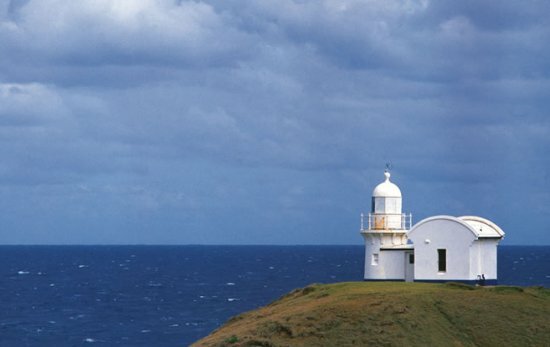 31° 28.7 S. Longitude 152° 56.2 E.
The lighthouse reserve is open all year. 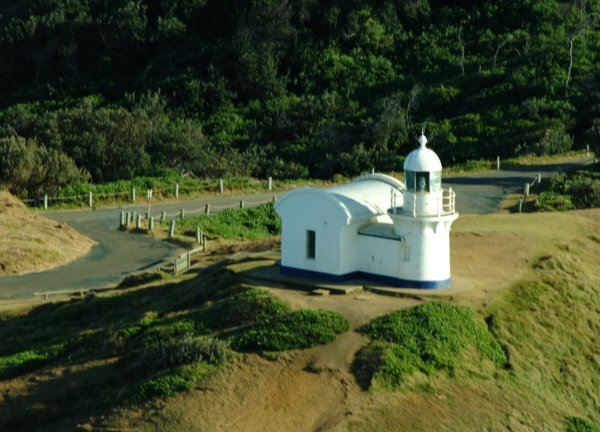 Access via Lighthouse Road just south of Port Macquarie. 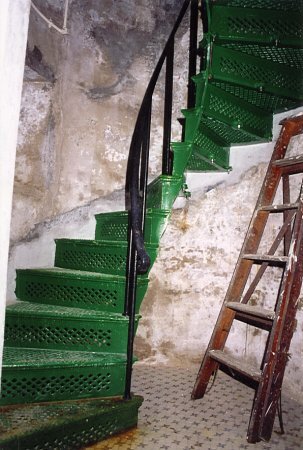 The tower is closed to the public. 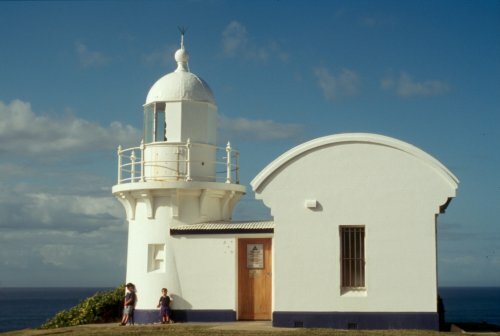 The Mid North Coast Maritime Museum has some lighthouse artifacts.